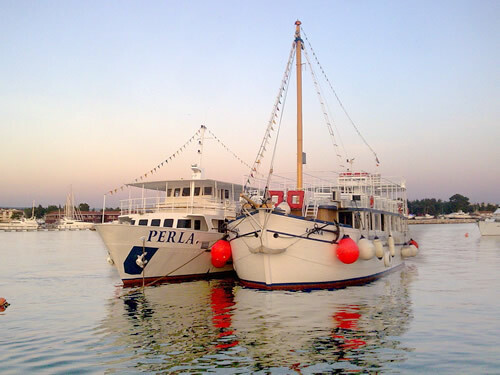 The boat trips around Istria and to Venice. 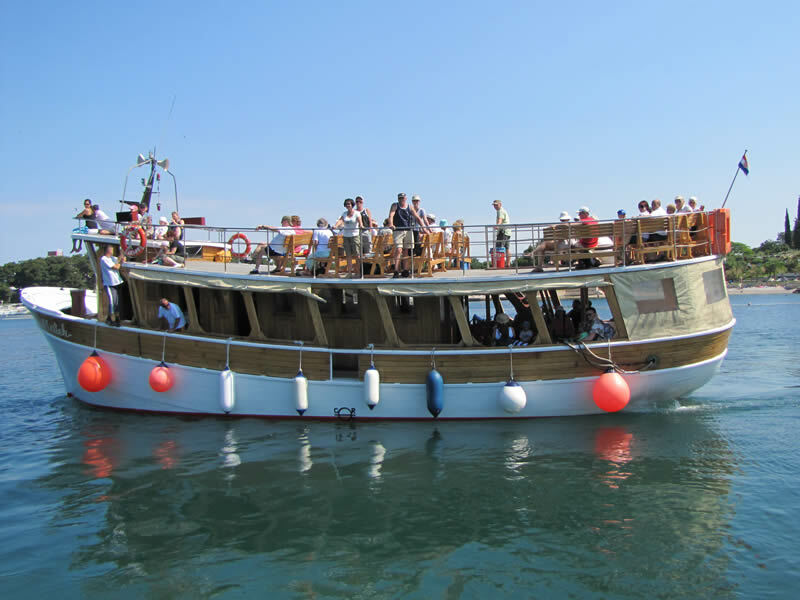 Located in Novigrad, and on the west coast of Istria, we organise boat trips, shore excursions, fishing, parties, weddings and special events. We invite representatives of agencies to visit us during their next visit to Istria and to direct their requests to e-mail. Welcome drink. 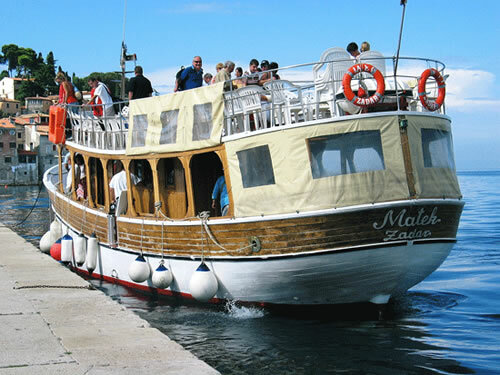 Panoramic cruise along the Istrian coast, among tiny islands and through Limski kanal* to the Pirates Cave. A short break is followed by a boat ride to Rovinj, sightseeing of the historic down town and lunch. The next stop, Vrsar, provides another chance for swimming or snorkeling. Arrival in Novigrad at 6:00 pm. Bus transfer from Kanegra, Savudrija, AC Pineta, Mojmir, Zambratija, Polinesia, Stella Maris and all hotels Elite Koralj, Garden Istra, Aurora, Umag, Sipar, Kristal and other places in Umag and from campsites Finida, Park Umag, Mareda is possible. More details about boat trip from Novigrad with swimming on the Pirates Cave. Welcome drink. 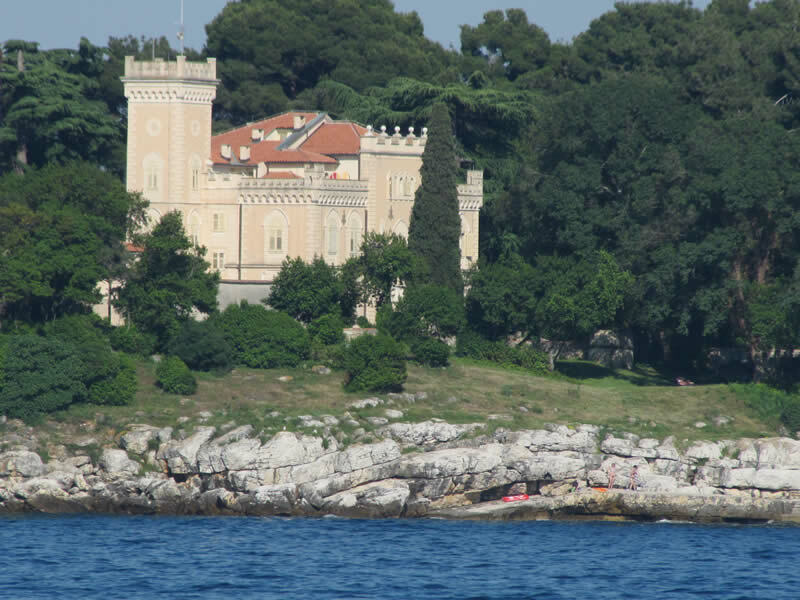 Panoramic sailing along the Istrian coast pass near Vrsar and among picturesque islands with the first stop in Rovinj. After a lunch and visit to the old town, we will navigate Limski kanal*. A break at the Pirates Cave can be used for swimming and snorkeling in the crystal clear water. 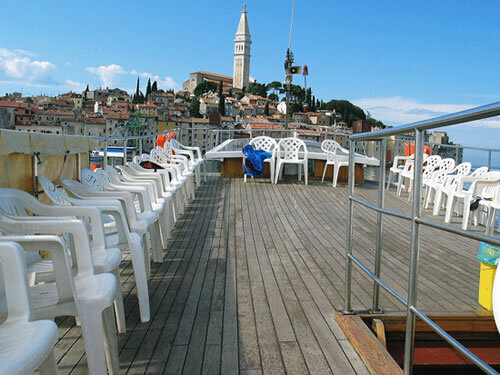 Panoramic cruise past the famous Brijuni archipelago and along the coast to Vrsar (break of 2 h). Lunch, and visit to old town or opportunity for refreshing swimming and snorkeling. Then we continue through Limski kanal to the Pirates Cave. A short break, to make picture. 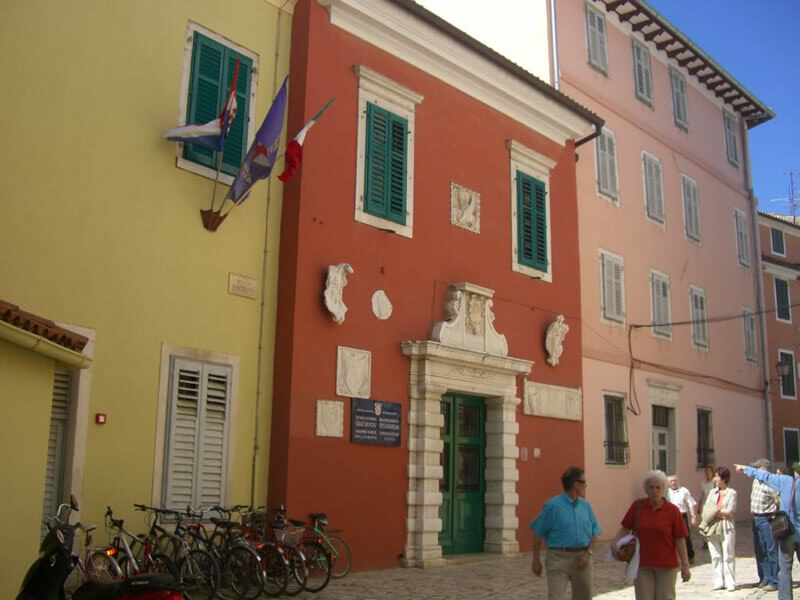 Then, the boat goes to Rovinj, where is break of 2 h. After a stroll through the old town, free time for shopping etc. Arrival in Pula at 6:00 pm. Shuttle from hotels Medulin, Belvedere, Holiday and other places in Medulin as it is from hotels Histria, Palma, Brioni, Park, Pula, AC Bi-Village, and other places in Pula is possible. Here is detailed description of this excursion. 4. Fish picnic with departure from Umag. Welcome drink. Ride to Rovinj. Pause of 2 hours. 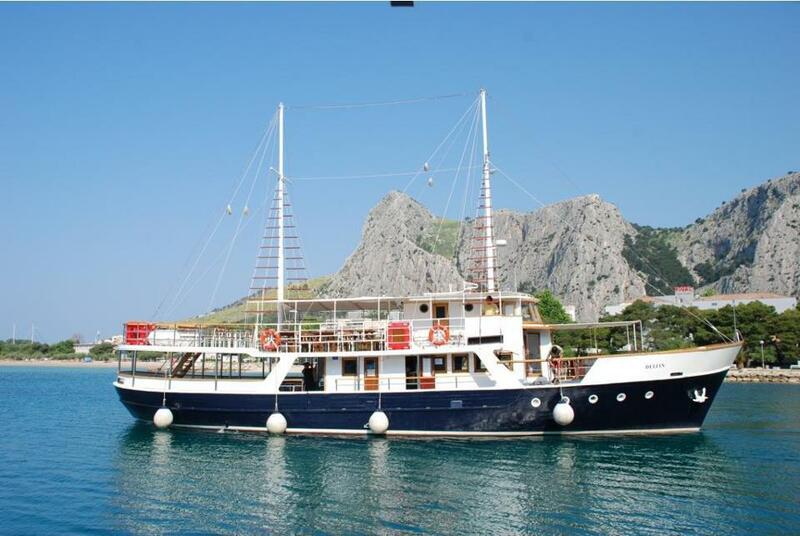 Follows ride to the Limski kanal, where you will have lunch on the boat during the drive. Follows ride to Porec where is the break of 1.5 hours. This break can be used for sightseeing or swimming. Return to the port Umag is scheduled at around 18:30. Welcome drink, and panoramic drive. Arrival to City of Cres at about 11:00. A short tour of the city with guide. Back to the boat & lunch (fish, meat, salad, wine, water or juice). Live music, fun. Visit the place and beach Lubenice on the island with the possibility of swimming and sunbathing. In a good mood at 5:00 pm return to Rabac. TRIP PRICES: 28 to 40 euros for adults. Lunch on board: barbecued meat or freshly caught fish, salad and bread as well as unlimited consumption of wine and alcohol-free beverages. Excursions run from March to November. Both groups and individuals are welcome to contact us. 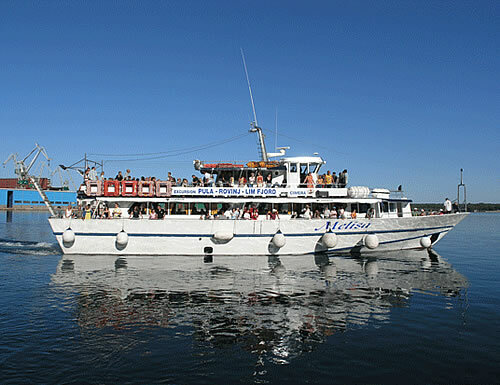 Dolphin watching trips are popular in Istria and in the Kvarner Gulf and especially suitable for the families with children. They typically last from 2 to 3 hours and the price is about 20 euros for adults. There is no guarantee that dolphins will be found. However, sometimes such a trip can be very attractive, as shows this video, shot somewhere in the Adriatic Sea between the islands of Rab and Cres. To select a particular trip, choose in the top navigation bar the harbour closest to you. 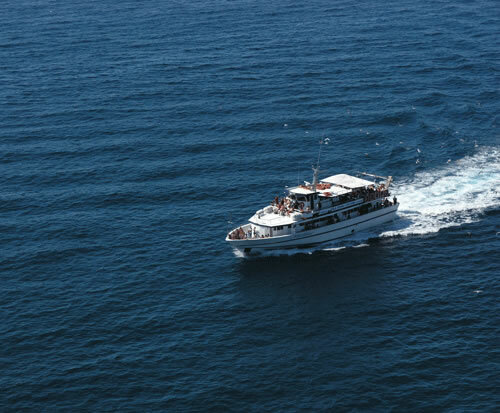 Popular short trips are: aquavision, searching for dolphins and panoramic trips around the archipelago of Brijuni. A favorite between them is fish picnic from Fazana to Brijuni takes about 5 hours and costs 225 HRK for adults. Swimming is organized on the island Saint Jerolim. Departure from Porec or Umag. Arrival in Venice, break of 5 hours. First hour with guide, and then free time to sightseeing, shopping and rest. Arrival in Porec (Umag) in the evening. Excellent guide and bus transfer are included. Trip is going from Pula and Rovinj too. Price is about 70 € for adults. 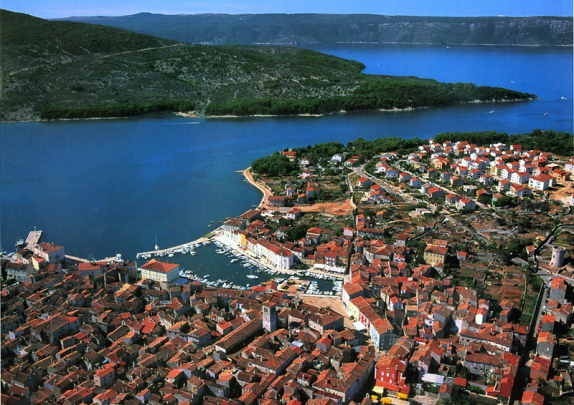 This is a useful way to came in, or to leave Istria. 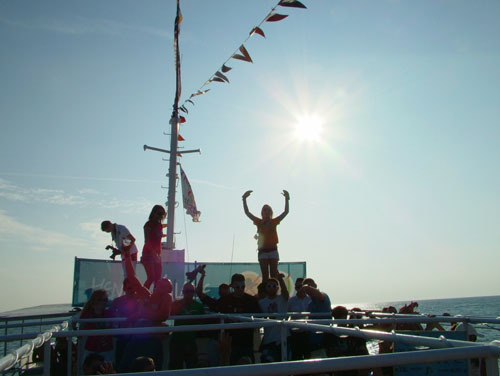 On the Croatian side of Adriatic departure can be from Pula, Rovinj, Porec and Umag. There is possible bus connection to other cities. 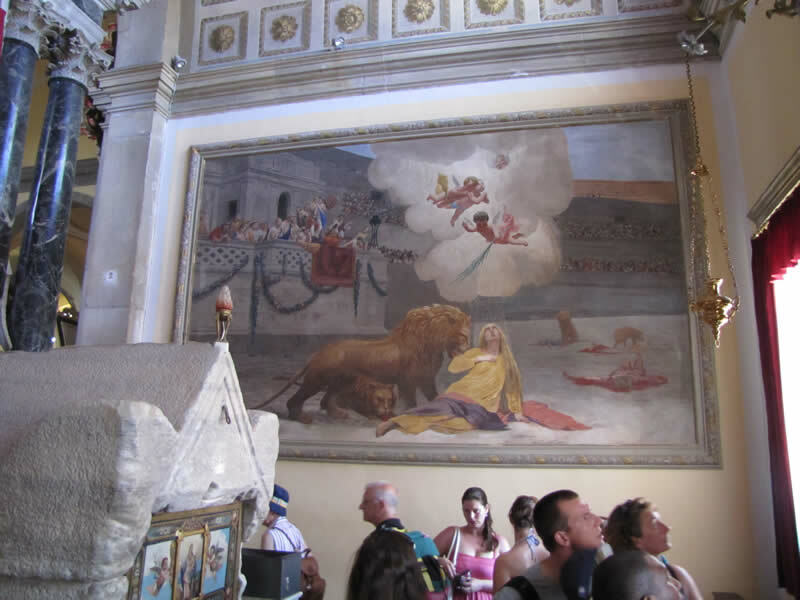 In Venice, departure port is San Basilio (Terminal San Basilio). 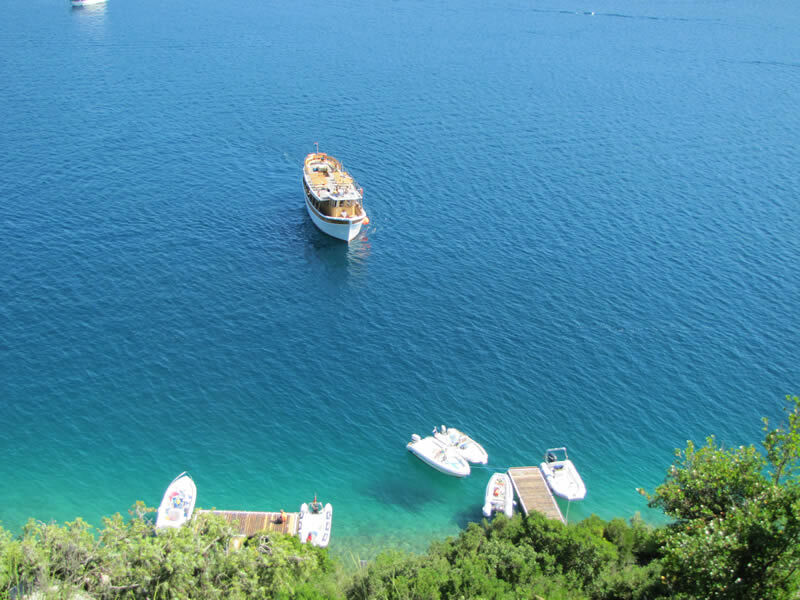 We can also help you find a taxi for Croatia, if the boat is not adequate. 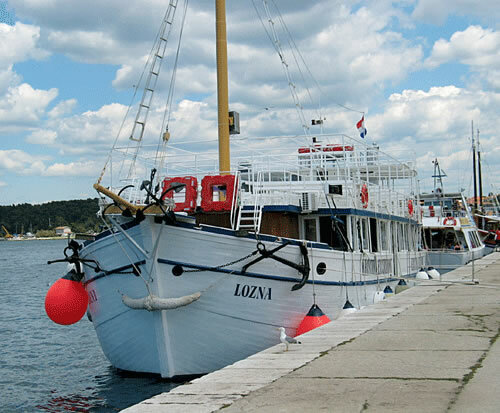 Daytime or nighttime trips combining a boat ride through Limski Kanal*, panoramic cruise along the national park Brijuni, cruise through the Vrsar archipelago and past old Istrian towns or fishing. We will do our utmost to accommodate your specific wishes. The prices may vary and will depend on a custom-tailored program. We invite groups to contact us. All event details, such as itinerary, boarding location, menu (of course, we recommend fish dishes) and entertainment programs will be determined and agreed upon depending on your specific wishes. For festive parties, we offer live music, traditional or beat as well as DJ, karaoke, tombola and quiz. The impact of weather conditions on the performance of the boat trips of fish-picnic type is big. The rain, if it is strong, does not provide good conditions for swimming. However, a bigger problem is the wind, because it creates waves. 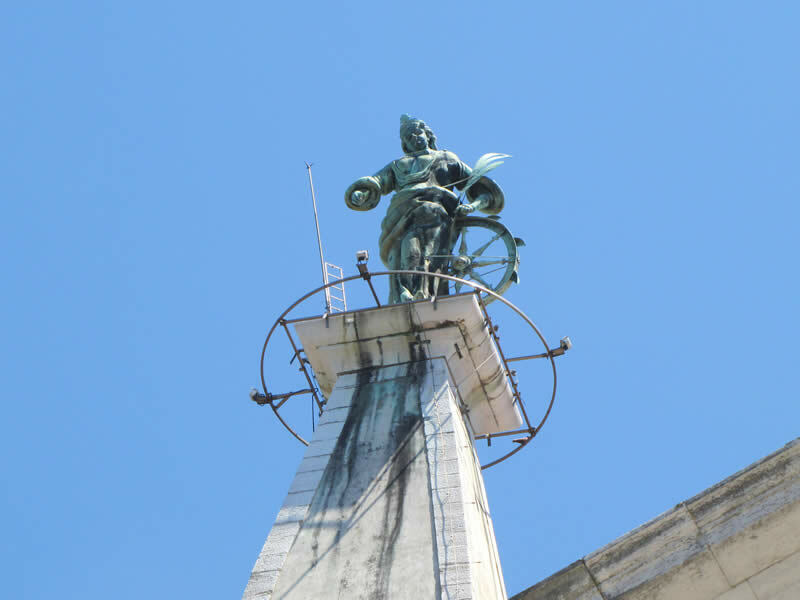 On the west coast of Istria, in the area from Pula to Umag favorable weather conditions are during the northeastern (Bura) or southeast wind (Levant) and unfavorable during strong southern (Jugo) or even medium-strong southwestern wind (Garbin). On the east coast of Istria and Kvarner in the area from Medulin to the island Krk the most dangerous is northeastern wind (Bura) because here can be very strong and comes very quickly. 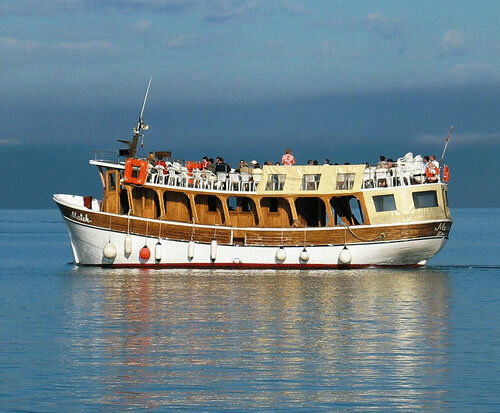 For more information about boat excursions from Istria to Venice or your trip, please send request by e-mai or call Mr. Nenad Heinrich at 0038598232083. More about EXCURSIONS AND SERVICES HEINRICH. General conditions of the excursions are here.